THE “Reach” and “Rich”, in other words, the “quantity” and “quality” of resources is a logical paradox to attain simultaneously without the application of technology to mitigate the two ends. This context is even truer in the education sector where the expansion of education strains its quality and vice versa. Hence, the integration of digital technology with education, in a form of open source education, is becoming trend now worldwide in order to extend access while maintaining the quality of education. This reality is even more imperative to developing nations where the investment to both the extension of access to education and enrichment of its content to an acceptable quality is equally a priority. It is within this framework that the RORA Eritrean Digital Library, a national platform for digital resources, was established through an initiative taken by the Eritrean Research and Documentation Center (RDC). RORA has been working in a close partnership with Eritrean educational institutions, mainly with Institutions of Higher Education, in creating a digital infrastructure that distributes valuable academic resources to colleges in Eritrea. This infrastructure has a set of requirements throughout many phases of its establishment, starting from the acquisition of the resources (data), its storage, an efficient method of its distribution, and effective usage of end-user tools. RORA has so far acquired and stored massive amount of educational texts, audio, and video materials in digital format, and worked with colleges in setting up platforms to provide these materials to students. Colleges in their turns have been setting up a localized digital library platform that stores these digital materials and provides its access to faculty and students. The storage and access is launched based on the available infrastructure the colleges have, which includes the use of their internal servers and local networks. Some colleges offer access through wired and wireless local network, where students can download their academic materials, lecture videos, and reference textbooks directly to their personal computers, e-reader tablets, or their smart phones. What is even exciting is the fact that these digital platforms are designed and implemented by the youth and students themselves; creating a tangible solution to their immediate limitations. 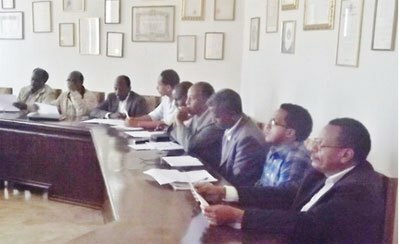 In continuation of this effort, different stakeholders of this process have met at the beginning of this past May at the University of Asmara Campus, in order to provide a written and verbal progress report. This progress report included updates of digital library platform of each college, issues and challenges, and an outline of the upcoming courses of action. In attendance were the deans and technical representatives of different colleges, delegates of the RORA Eritrean Digital Library, and officials of the Commission for Higher Education. Different issues were raised and discussed at this meeting including the various limitations that some colleges experience, the integration of these digital resources with the curriculum of different fields, and the methods of cooperation between stakeholders in meeting the required set-up. A collaboration of efforts and resources among colleges was also a center of discussion to assure that all colleges are on the same page and capacity. A timeline to submit a strategic short-term plan of each college is also set during this meeting. An intensive dialogue also ensued in regard to a wide and optimal usage of e-reader tablets, which are the vital part of this digital system, serving as a cost effective gateway for students to access digital materials. Two Eritrean organizations: the Eritrean Relief Association (ERA) UK, and Eri-Tablet USA, have worked in partnership for three years and recently an online group of Eritreans called “Young EPLF Paltalk Room” joined hands in this endeavour. Recently the three groups collaboratively delivered 250 e-reader tablets at the cost of more than$32,000 toward this effort. 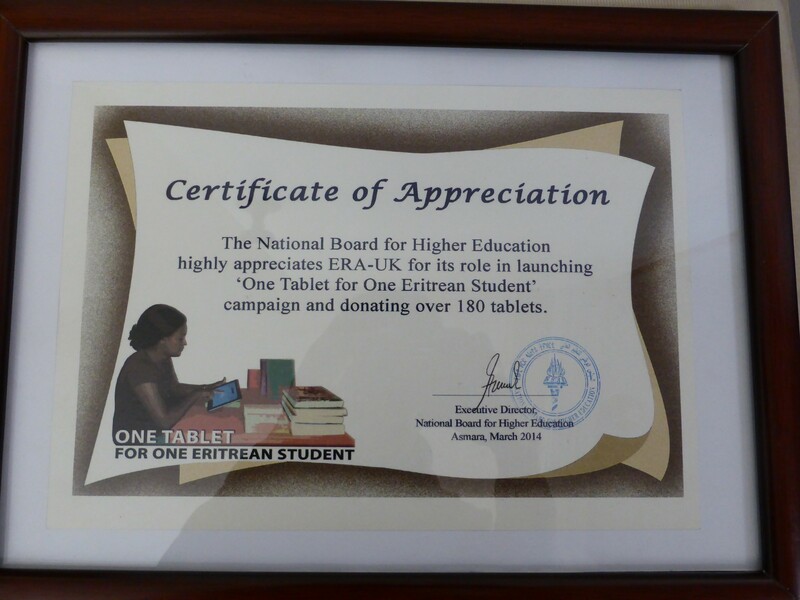 Close to 500 e-reader tablets have so far been donated as part of a campaign under a “One Tablet for one Eritrean Student” motto; a movement aiming to provide every student an access to this “gateway tool”. 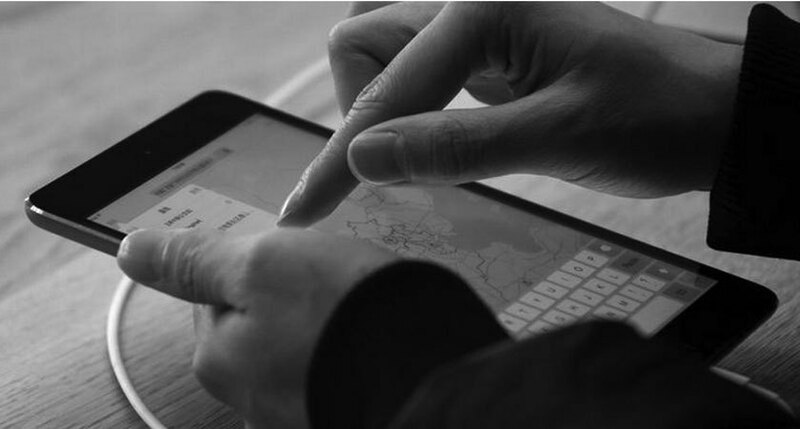 This gateway tool, the e-reader tablet, is the crucial part of this digital system, while it is also particularly cost-effective. The identified type of e-reader tablet cost about less than 1/5th the amount of a standard laptop, but has the basic utility of personal computers. A student can read textbooks, listen to audio lectures,watch podcasts, and access a local network to the digital library using this device. It has a long battery life; and it can be charged through electric or solar power in tablet centers inside college libraries. 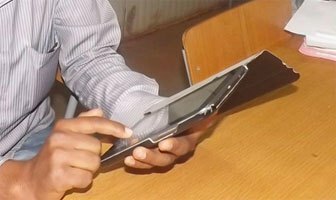 Every Eritrean, particularly the Eritreans in the Diaspora, can play an important role in the contribution of this important tool, the e-reader tablet. 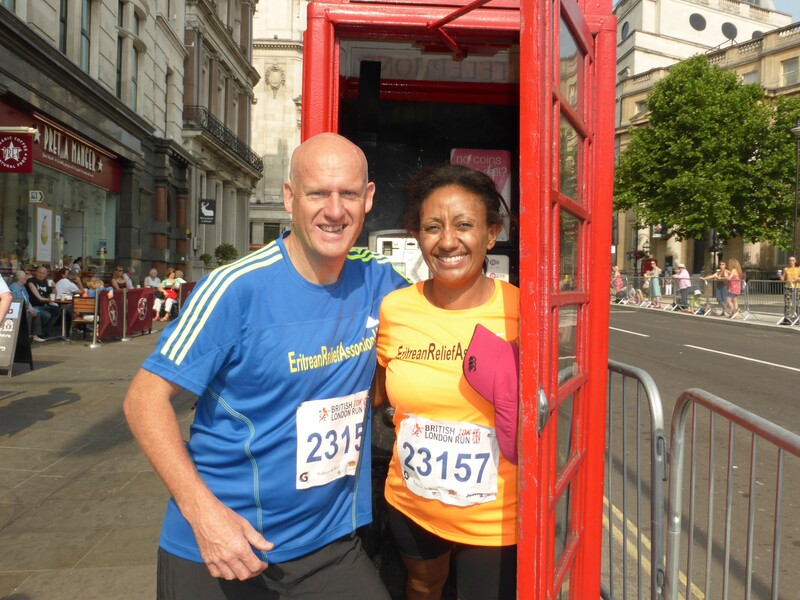 Anyone interested to do their part can donate toward the e-reader fundraising effort through PayPal by visiting websites of the Eritrean Relief Association (ERA) in UK or the Eri-Tablet USA. Additionally, Eritreans in the Diaspora can help in collecting open source academic materials in digital format and email it to RORA Digital library at rora.eri.dl@gmail.com or roradiglib@gmail.com. The availability of these tools gives relevance to this digital platform that is being enriched, and ensues further upgrading of this whole system. This can reform the way education is given in Eritrea and puts Eritrea in par with the global trend in information sharing. 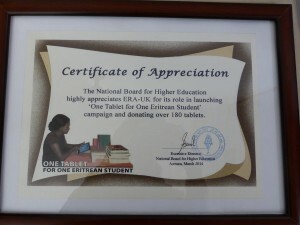 At the handing ceremony, Ms. Seble Ephrem, representing the group, issued the tablets to Dr. Tadesse Mehari, Director of the National Board of Higher Education, and disclosed that the nationals are committed to collaborating with national Associations pursuing the educational, health and social domains. She went on to express appreciation for the youth nationals residing abroad who made valuable input as regards making available the support, and called on Eritrean communities in the Diaspora to back up the scheme. It is to be recalled that ERA donated around 70 digital tablets in collaboration with Eri Reader, its counterpart in the US. The National Board of Higher Education pointed out that committees have been set up in a bid to launch digital libraries in all national colleges, and that such support is vital pertaining to promoting students access to audio and text educational materials. 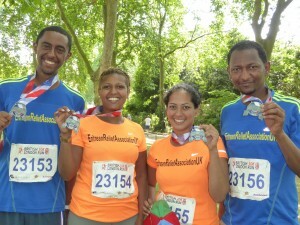 The London 10K Runners of 2013 raised £4,418.68 through sponsorship which, together with £2,000 donated by Mesfiney Love Foundation, will go towards the Autism & Down’s Syndrome Project. The plan is to equip the playground at Medeber School in Asmara with a special range of outdoor exercise/recreation equipment commensurate with their ages and needs. We are currently in process of selecting and arranging suitable equipment with our partner organisation the National Autism & Down’s Syndrome Association of Eritrea.